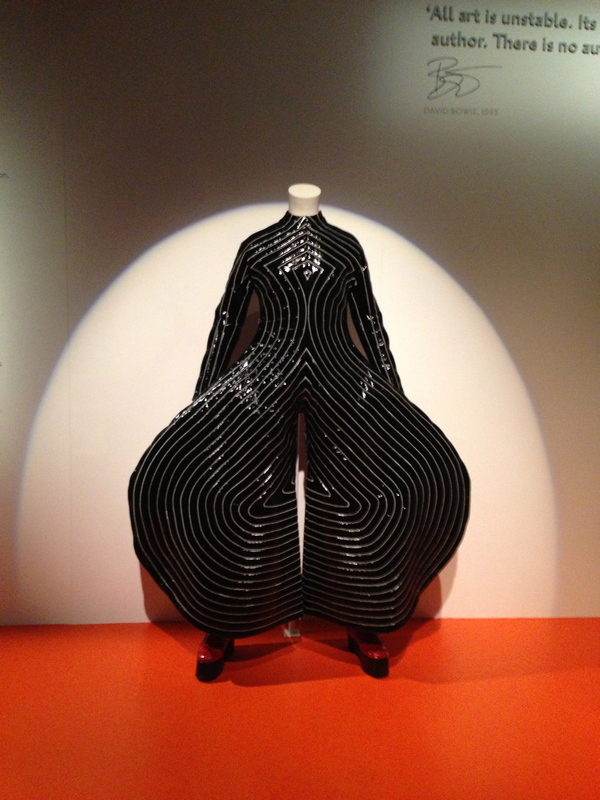 I recently attended the preview of V&A’s extremely popular David Bowie Is exhibition. I must admit, I’m not a huge fan of David Bowie. The one minor link is his work with Jim Henson on Labyrinth and I like the song Under Pressure. Other than that, he was just a character with a cult following I never really grasp. Top tip: Take the Headphones! After your ticket is checked, you are offered a headset. Take it! This is not your normal audio guide with punching in numbers. 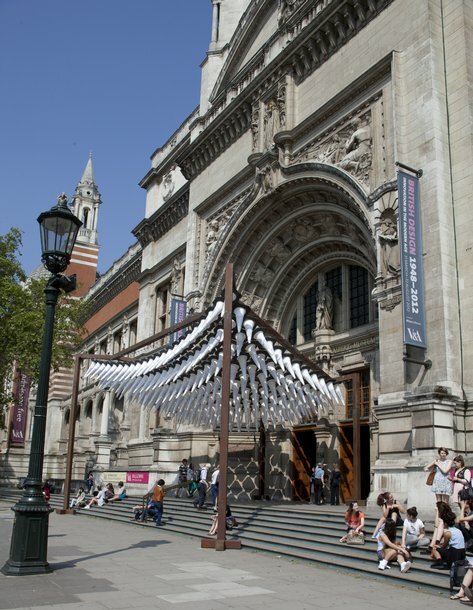 The V&A digital team has used RFID technology throughout the exhibition to automatically launch the appropriate information, song, interviews, etc depending on where you are in the gallery. This was brilliant as it meant I didn’t have to go up to the display and locate the audio guide symbol and number, nor did I have to punch the number in. This raised the exhibition to a different level for me as I found myself staying longer in areas to finish listening to what was being shared. 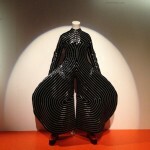 During my stay in London as a London Ambassador for the Olympics I managed to visit a few museums. 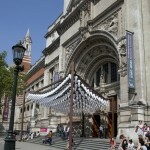 Natural History Museum and the V&A were open late as part of the Cultural Olympiad Exhibition Road Show. After one of my shifts, I headed over to soak up the atmosphere of being in the Natural History Museum at night. As it was the first night of the Road Show, things were a little quiet. However, that was great for me as I essentially had *my* Natural History Museum to myself. 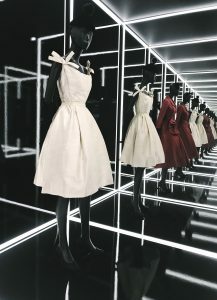 I left Natural History Museum and went to Exhibition Road Show. There was an exciting carnival feel with people playing free games of chess, lots of singing and dancing and food. I ran into a fellow London Ambassador as I was on my way to the V&A. He explained the V&A was closed for a VIP but would be open late tomorrow night. While I left mumbling about VIPs, I decided to see about coming back. Charlotte and I had a fun filled weekend in London. 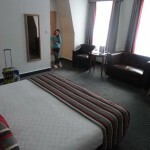 After a lovely journey on Virgin Trains, we headed over to Bloomsbury Thistle Hotel. The last time we went to London we were a little disappointed in this hotel as the elevator and key lock stopped working. This time, they more than made up for it! 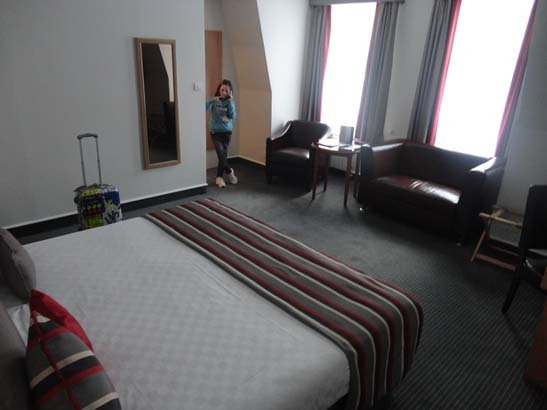 The room was large, with all the amenities you expect and then some. 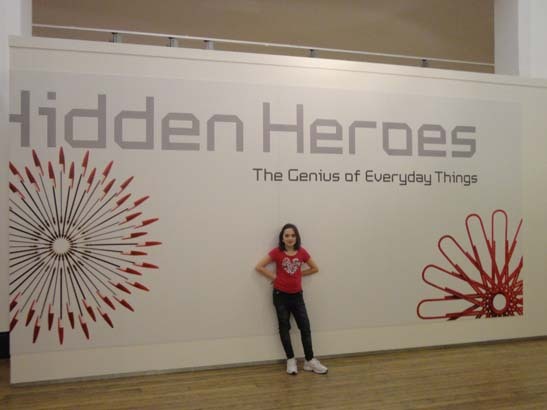 We barely put our bags in the gorgeous room before heading back out as we were meeting Laura Porter from GoLondon.about.com and her daughter A at the Science Museum to see the Hidden Heroes exhibition. The exhibition explores everyday items that we use almost everyday and invites you to think of where you’d be without them. Most of the items (if not all) have been mentioned in Justin Pollard’s book Boffinology (which is a brilliant book).